I strongly recommend setting aside 40 mins to watch this firm declaration of many truths to a hostile world – as though the Lord was standing alongside and inspiring him! He gives a compelling account as well as a rational denunciation of the UN as ‘a theatre of the absurd’! We know that through his close friendship with Mike Evans, chairman of the Corrie Ten Boom Foundation, this democratically elected PM is deeply appreciative of Christian prayer support. In view of my previous closing comments (below), it was interesting to hear of Bibi’s very ancient ancestral connection to Jerusalem. 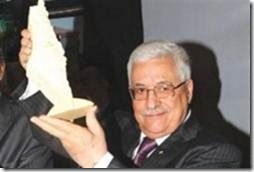 Also, it was appropriate his speech followed that of the unelected PLO’s Abbas and Iran’s A-madman-jihad and which, for the discerning, can be seen as an honest alternative. Hmmmm – now why should he do that?? Friends – Please see below Joel Rosenberg’s forwarded item upon this afternoon’s breaking news. God has given Benjamin Netanyahu to Israel. The “gift from God” [Benjamin] and the “Son of the right hand” [Netanyahu] is a protector of Israel and will be to the very end. 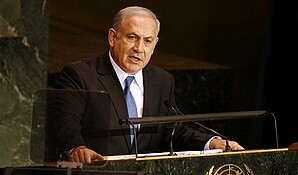 It will certainly be interesting to see how God will use Benjamin Netanyahu in the days ahead. Senior aides to Israeli Prime Minister Benjamin originally told me the PM was not going to come to the opening session of the United Nations General Assembly this year. But things have changed. Haaretz and Ynet News are now reporting that Netanyahu is coming to New York and will deliver a major address before the U.N. General Assembly next Wednesday. The decision reflects the PM’s desire to personally, directly and very publicly confront the Palestinian effort to unilaterally declare a state and receive a U.N. blessing, rather than engage in direct negotiations with the Jewish State. 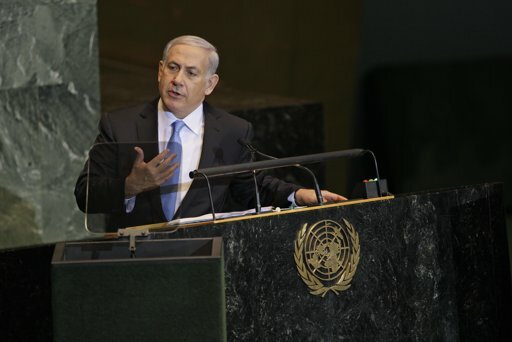 Netanyahu will also strongly condemn Iran’s bid for nuclear weapons and challenge the world to rein in Iranian President Mahmoud Ahmadinejad, who is also coming to the U.N. next week. Am catching up with my in-box and, if you’re as yet unaware, I’d draw your attention to the following ICEJ call for prayer back-up – please note the reminder about next week’s UN activity. – Turkey’s bellicose attitude, on top of expulsion of Israeli Ambassador and ‘corralling’ Israeli airline passengers, is becoming serious now its frigates are instructed to disable weapons of any Israeli ships outside territorial waters! (DebkaFile – unable to copy link) – all to avert attention away from growing domestic ills? Time to kick Turkey out of Nato! – last weekend’s storming of Israel’s Cairo embassy by founding branch of Al Qaeda and Muslim Brotherhood activists required urgent intervention of USA’s Obama and Clinton before Egyptian authorities protected the besieged staff from an extremely grave situation (DebkaFile – unable to copy link) – all on top of Iranian machinations in Gaza and Lebanon. Just perhaps all this is one way the Lord may change Barack Obama’s deep anti-Israel stance? 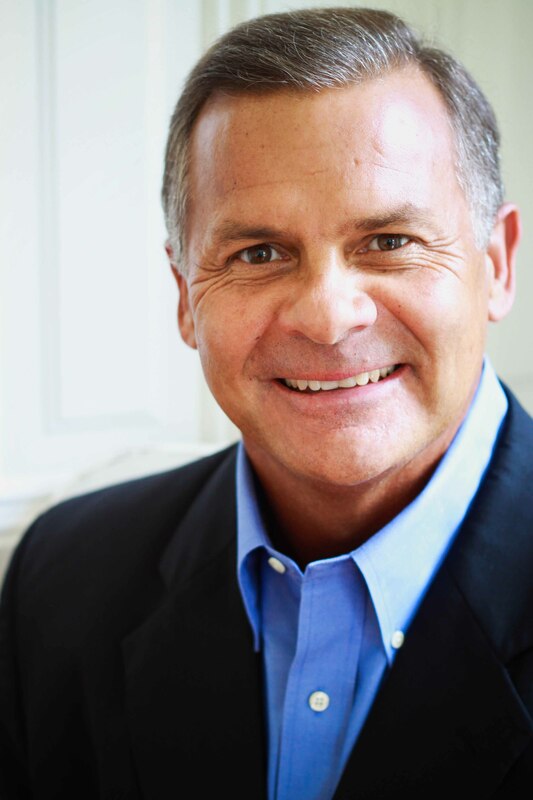 Kindly consider Paul Keith Davis’ August e-newsletter as being of value for deep reflection and which may be found on this link. 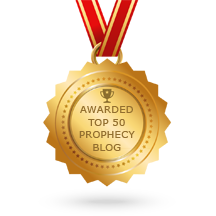 Therein, Paul Keith covers the distinct possibilities of previous prophetic perspectives coming into fruition. He is most encouraging in discussing our direction for magnifying the Kingdom’s manifestation. May I further encourage your visiting his ministry’s website to sign up for his E-newsletters? You may be able to receive his special report Affirmations of the Open Door, issued only two days ago. This report’s importance lies in the revelation a month ago of last weekend’s unprecedented tropical storm that swept the US eastern seaboard as far as New England. The word from the Lord was to watch for a physical storm that would come upon Washington DC – “It will be a sign that cannot be prevented” of the commencement of heavenly intervention against the evil one’s plans therein. This could be truly awesome! In my humble opinion, watchers of the wickedness happening within that leading Christian nation, as well as those familiar with Chuck Pierce’s insights into the spiritual divisions across the USA, will see the relevance of this information.